Innovative is a fantastic, responsive blogger templates designed to make your blogging experience as simple and seamless as possible. 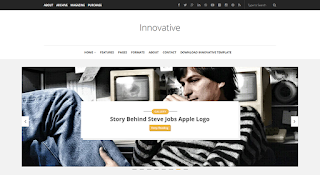 Enjoy Innovative free blogger templates and its popular features. We also include a featured post slider, footer area, header & footer.